When you come back to home after fishing, the very thing that comes to your mind is the fish filleting! You all want to get the perfect fish slices to cook and to satisfy your hunger! 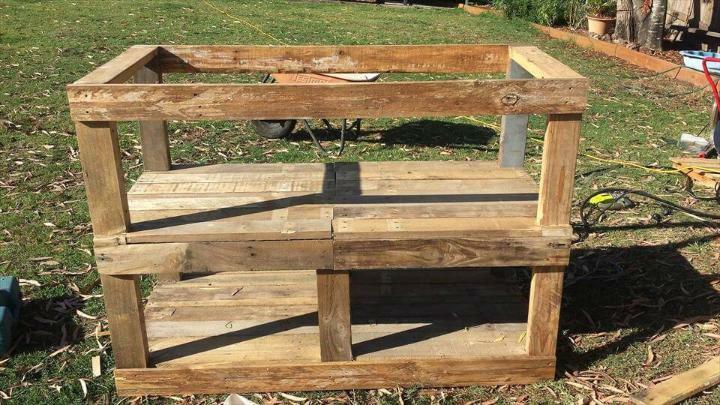 So if your mouth is watering after hunting your favorite fish but you are not getting perfect place or surface for fish filleting then we recommend you to use this DIY pallet outdoor fish filleting station, it is both easy-to-build and free-of-cost! 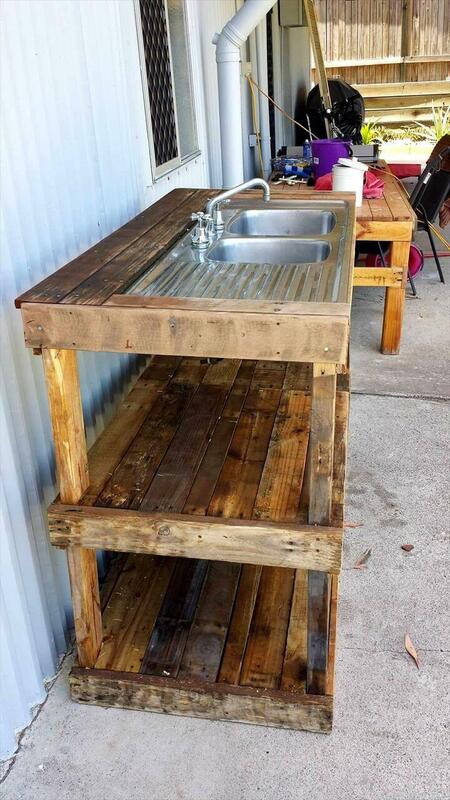 Get the necessary supply material which are only the pallets and an old sink, and clone it now!! 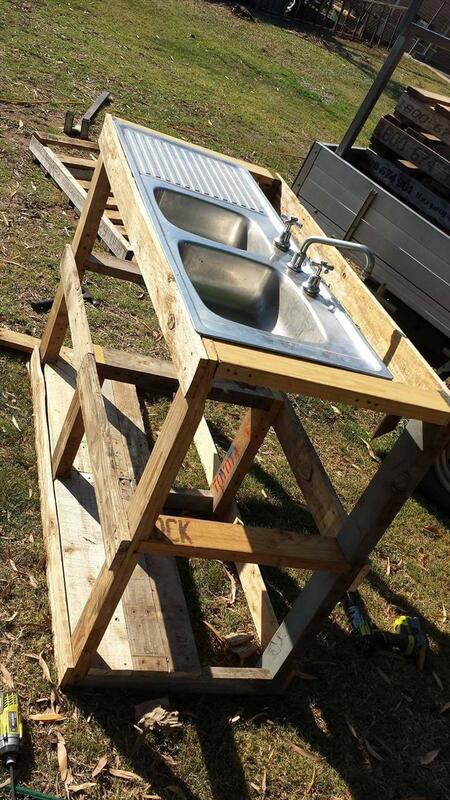 Install the top frame and fix the reclaimed sink it precisely and go for a side trimming of it! Now, install the legs and plan next the number of shelves you want underside the top! Filling flat the pallet slats but in solid way, build the wooden shelves and install then using the most friendly and durable hardware! Make the perfect attachments and assemble the entire design solid, now it is ready to be painted! 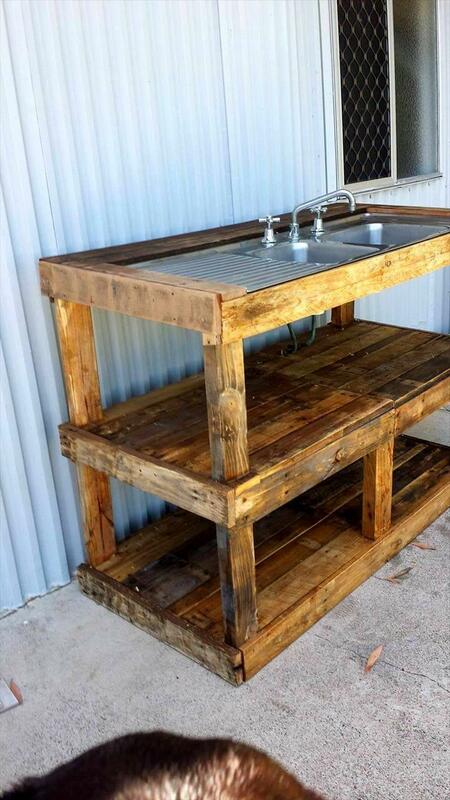 Keep the rustic wooden look if it makes you satisfied! 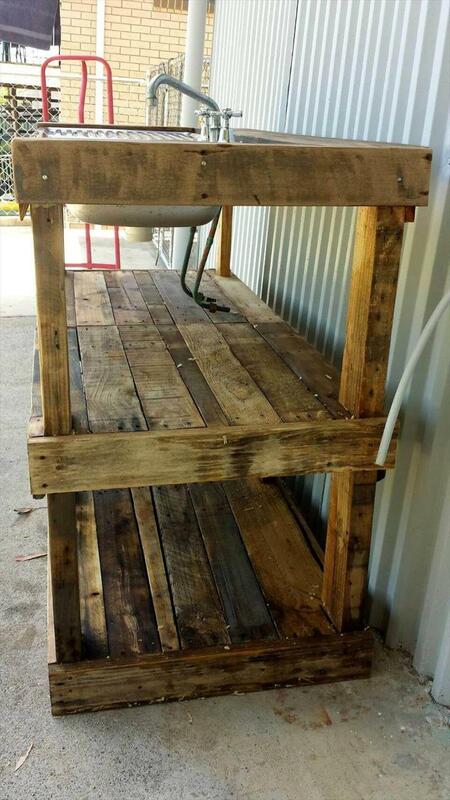 Install cross beams among the legs and build the primary frame for this fish filleting station! 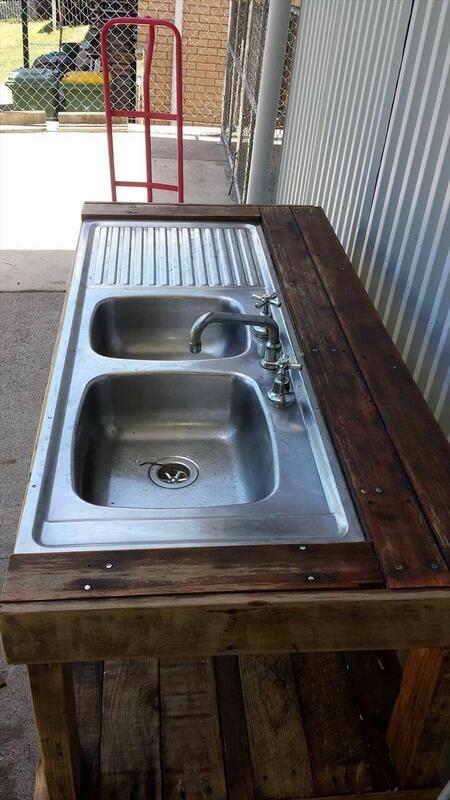 Use it also as an outdoor sink! 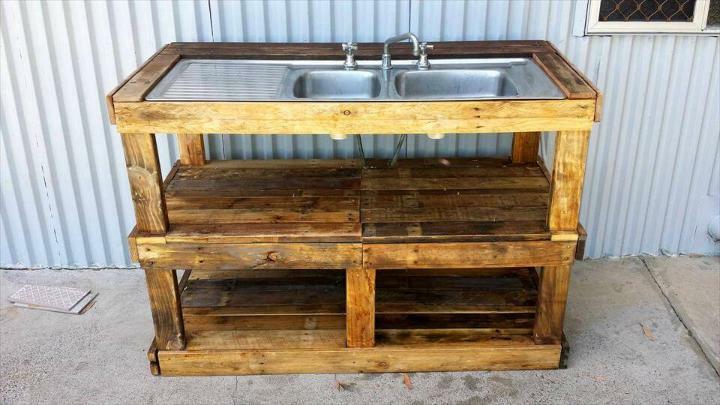 Go for some dry arrangements of sink after you gain your primary wooden skeleton! After you just get the primary frame, fill the lower levels to gain beautiful shelf and fix an old sink in the top level! Fix the sink solidly in place, use extra wood and hardware to fix tight the loosely bound sink if it happens to you! After overall assembly and overhaul just grit the wooden surfaces better and plant the stain treatment if you want! Connect the sink back pipes to water pipes and start using this pallet fish filleting station! Rustic look will also great if you want to paint it! Here it comes with flat bottom and would be hard to move and drag for sure, install rolls to gain it touch to move!